In an effort to stay abreast of political actions that affect education, I will occasionally blog about current and/or proposed legislation. If the words “political” and “legislation” just made you uneasy, this is the perfect place for you. My intention is to keep it simple and relevant. SB1214 is a Senate Bill that would benefit teachers clearing their credential. 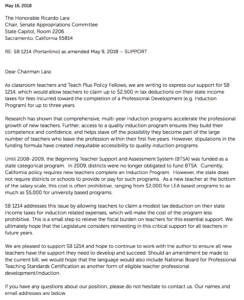 Now, because I’ve wanted to understand more about the entire process and why educators face the frustrations we do in the classroom, I applied and was accepted to the Teach Plus Policy Fellowship. You can read more about this program here. 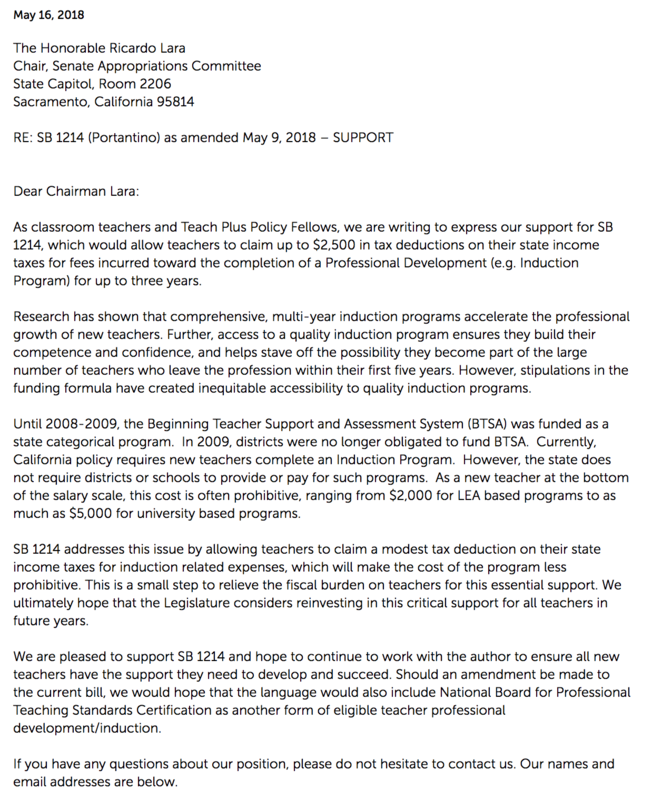 Currently, we are supporting a bill that provides a tax deduction for teachers who have to pay for their own Induction programs while clearing their credential. 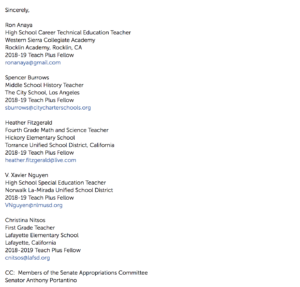 A group of the Teach Plus Policy Fellows wrote a letter of support that you can read just below here. Any teacher who has their preliminary credential and is enrolled in an Induction program (CTC approved) that they pay for out-of-pocket. Is allowed to deduct up to $2,500 from their taxes, based on their Induction program costs. This bill unanimously passed in the Senate and is being heard by the CA Assembly Revenue & Taxation Committee on July 2, 2018. It would be in effect until 2025, at which time it would be revisited. To support the qualification and professional development of early career teachers. 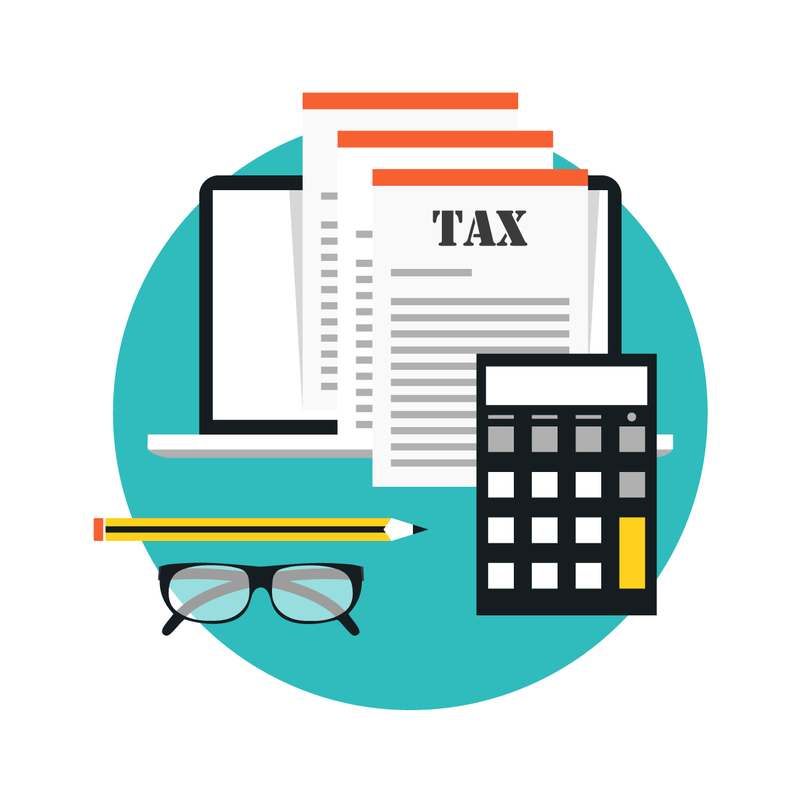 (a) (1) For each taxable year beginning on or after January 1, 2020, and before January 1, 2025, subject to paragraph (2), there shall be allowed as a deduction an amount equal to the amount paid or incurred, not to exceed two thousand five hundred dollars ($2,500), for teacher professional development expenses by a qualified taxpayer during the taxable year. (2) Unless otherwise specified in any bill providing for appropriations related to the Budget Bill, the deduction amount for each taxable year beginning on or after January 1, 2020, and before January 1, 2025, shall be zero dollars ($0). (3) A deduction pursuant to this section may be allowed for no more than three taxable years. (A) Completed a teacher preparation program or fulfilled the requirements of the early completion option described in Section 44468 of the Education Code and is in possession of a preliminary general education (multiple or single subject) teaching credential or a preliminary special education teaching credential. (B) Enrolled in a program, approved by the Commission on Teacher Credentialing, in order to earn a general education clear credential or an education specialist instruction clear credential. 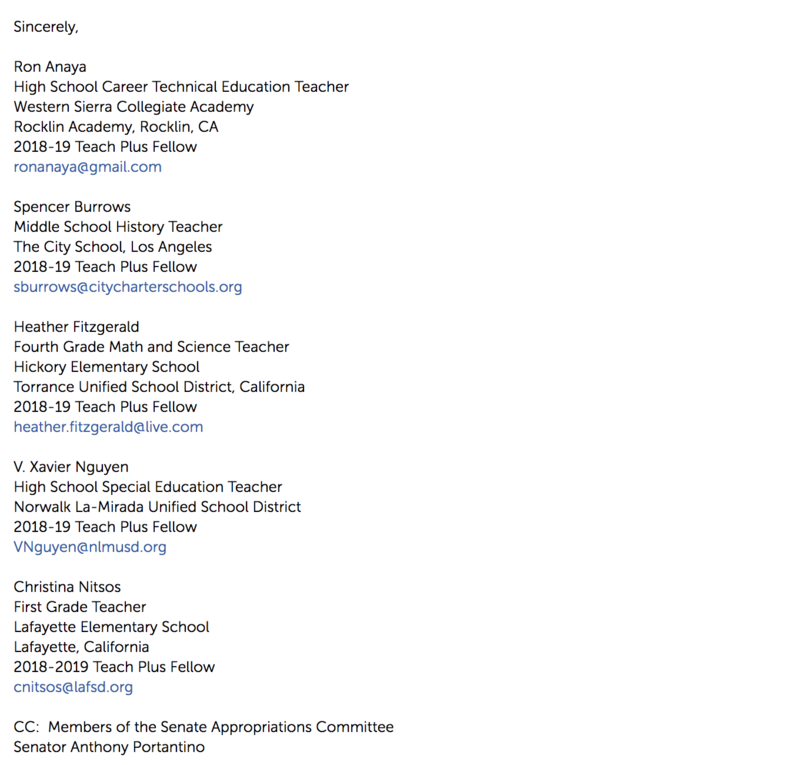 (C) Is not otherwise reimbursed for the teacher professional development expenses.